MyPrint.my is a online Business Card Printing company. They offer a wide variety of printing services including Business Card, Flyers, Booklet, Corporate Folder, Brochures, Vouchers (Security), Ang Pow, Postcards, Transparent Name Card and may more. They are located at Klang, Malaysia. Buying and Selling online has become more popular each day as people are busy with their daily schedule. Online Classifieds is a great way for others to trade online. Syiok.com is a Malaysia Classifieds website whereby people could buy, sell or trade almost anything. This include property, cars, electronics, phones, services, jobs, events and many more categories. Are you planing to have you own membership or loyalty card? Do you want to print ID card for your staff? We have the right equipment for you or you could look for our card printing solution. CardsOnline have been supplying card printers in Malaysia and Singapore for years now. Having you own printer allows flexibility to print as you have a new staff or customize the card to have photo id on the membership card, or employee id card. Apronbay specializes at waxing and brow design. They do Brazilian wax, Body Waxing, Face Waxing, Brow Shaping, Brow Design, Threading and Manicure & Pedicure. They was almost all parts of your body (I guess). They are located in Bangsar with special designed rooms to make you feel comfortable. Their wax products come from France. Address: 6-1, 1st Floor, Jalan Telawi 4, Bangsar Baru, 59100 Kuala Lumpur, Malaysia. 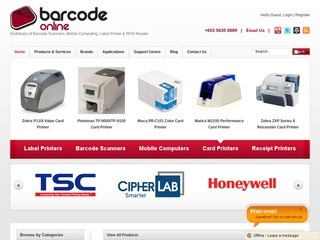 DSC is distributor of Barcode Scanners in Malaysia. They carry the major brand of the readers including Motorola Scanner, Cipherlab and Honeywell. Other than Barcode scanners, DSC carries label printer, mobile computer, RFID reader, ID Card Printer and inventory management softwares. DSC Systems (M) Sdn. Bhd. Mart.com.my sells cosmetics and household product online. They are widely known for their Surgical Mask that was sold at a relatively low price even during the H1N1 era. Other than that, they also carries Mabelle cosmetic products, zowin toothbrush and other disposable items. Rather than buying a new bike, you could start off with a second hand bike. Yes, bike are expensive and they have second hand value. Anyway, this site provide a great resource for those who share the same hobby. They have category ranging from Apparel, Helmet, Frame, Lights, Brakes, Chain, Handlebar, Tires and also complete bike. Great site for Malaysia enthusiast bicyclist. We stumble upon this two cool mummies who take photograph for newborn, maternity, children and family portrait. And we must admit that we like their photograph very much, and we could very much like to support our Malaysian homegrown business and hopefully they would be successful as a photographer. Check out the business that Sue & Jasmine and remember to take a look at their work of art. 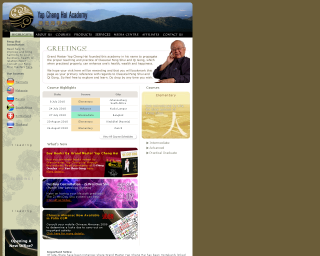 Yap Cheng Hai Academy is founded by Grand Master Yap Cheng Hai to teach and practice of Classical Feng Shui and Qi Gong. It is said that when practised properly, it can enhance one’s health, wealth and hapiness. There are various class from Elementary Feng Shui Class to Advance Classes. Other than that, you can also buy books written by the grand master himself. There are times when you will need a private investigator. MVD are licensed private investigator that is established in year 2000. Providing service to private individual and corporate investigation. They are also ISO 9001:2008 certified with MSC status.